Hydrant markers, hydrant ID bands and flags, driveway markers, safety vests and more! Year round hydrant marker solutions. Year round service and safety! Hydrant markers, reflective clothing, traffic safety supplies & more ! Here is our latest news clipping -- if you happen to find HY-Viz Inc. Mentioned in the news send it to us -- and get a FREE T-Shirt! Check out the latest article - We may actually be something both sides agree on in Washington! six feet off the ground. The lightning bolt would sooner strike a nearby SUV. What is this new addition? hydrant biz as "hydrant markers." And they are called that because they, um, mark hydrants. whose wife, Nancy, owns Hy-Viz Inc., the New Jersey company that made the Capitol Hill poles. 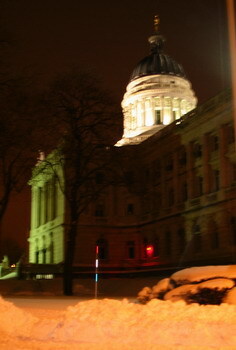 Architect of the Capitol's office. 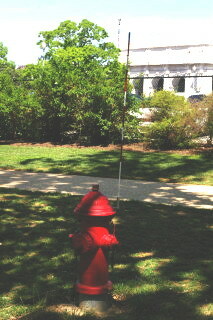 "They're simply a way of identifying the hydrants," said Eva Malecki of the architect's office. sometimes if you're sitting high up in a truck you don't see them," she said. They also help after a heavy snow, when plows can entomb hydrants under feet of the white stuff. so they're always available for an emergency," said Eva. - each a work of art - and that's what separates us from the rest!  Back to Hy-Viz hydrant marker main homepage! Hy-Viz Incorporated -Women owned, Family Run-- We care! Take our banner! Lets trade links! A perfect way to send supplies and gifts to soldiers who NEED them! We stand by our products; we strive to use the highest quality materials and assembly procedures. We are, however, NOT responsible for misuse or vandalism of our products. The following is made in lieu of all warranties, expressed or implied, including the implied warranties of merchantability and fitness of purpose. Seller's and manufacturer's only obligation shall be to repair such quantity of the product found to be defective for a limited time, depending on product. Before using and installing, purchaser and/or user shall determine the suitability of the product for its intended use, including, but not limited to: location, height, any safety issues, and secure installation of the product. It is the sole responsibility of the customer to check all local, state, federal and corporate regulations regarding the suitability, legality and/or safe use of any product purchased from User and or purchaser also agrees to maintain products after installation. User and or purchaser assumes all risk and liability whatsoever in connection therewith. Neither manufacturer nor seller shall be liable either in tort or in contract for any injury, loss or damage, direct, indirect, incidental, or consequential; arising out of the use, misuse, vandalism, or inability to use the product. Hey what are you doing down here?